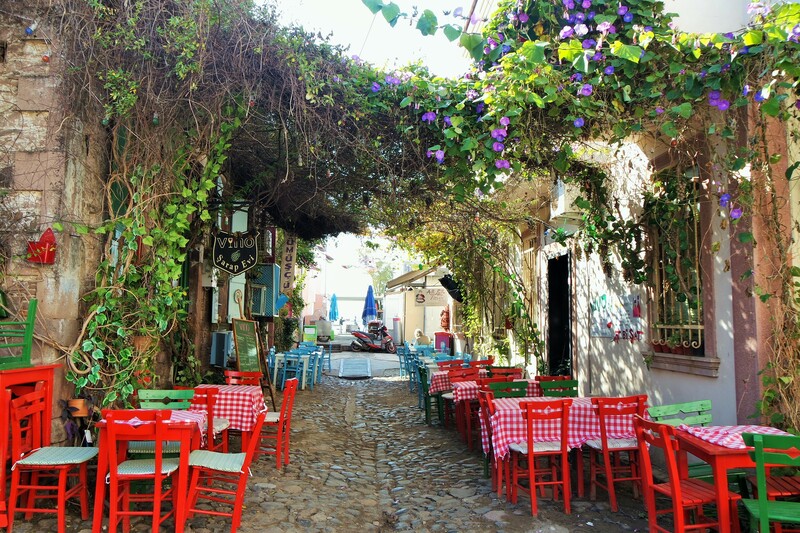 Ayvalık is a seaside town on the northwestern Aegean coast of Turkey. 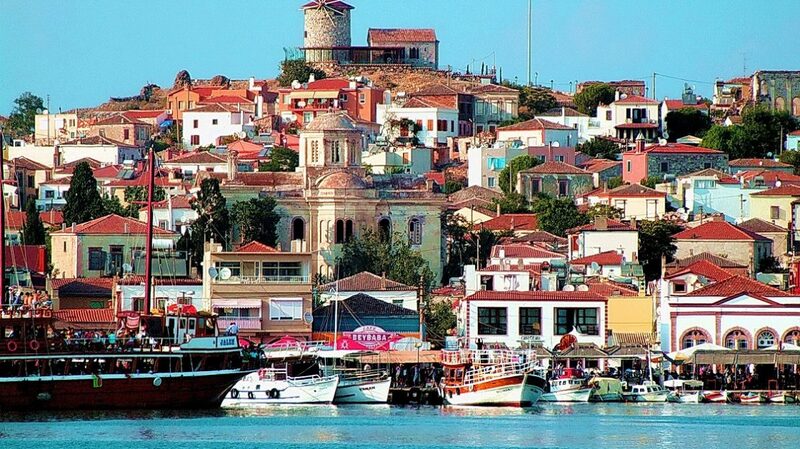 It is a district of Balıkesir Province. 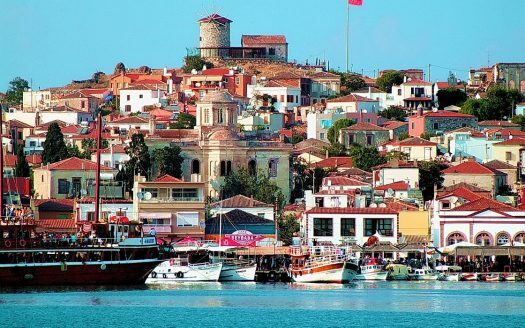 The town center of Ayvalık is surrounded by the archipelago of Ayvalık Islands, which face the nearby Greek island of Lesbos. 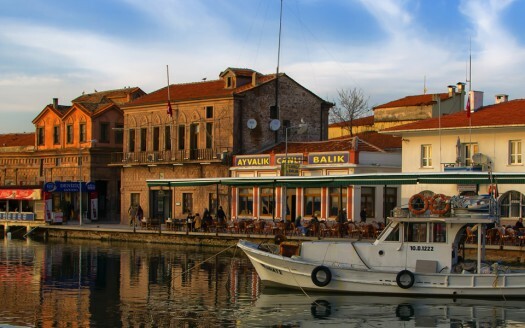 It was alternatively called Kydonies (Κυδωνίες) by the town’s former Greek population; although the use of the name Ayvalık was widespread for centuries among both the Turks and the Greeks, pronounced as Ayvali (Αϊβαλί) by the latter. 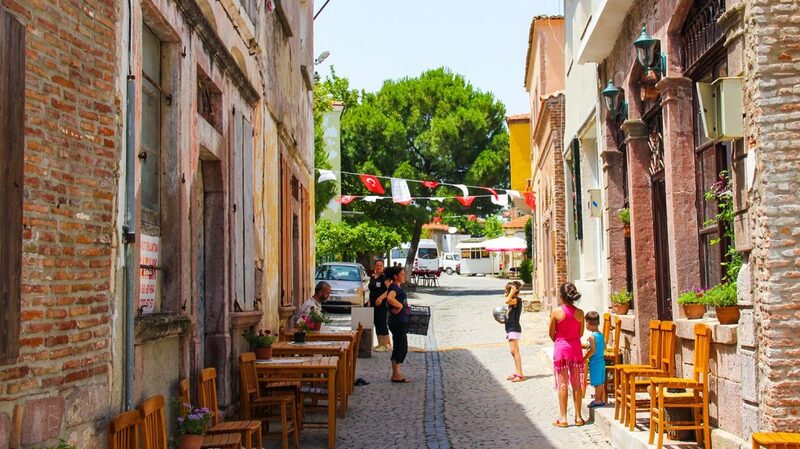 Ayvalık is a district in Turkey’s Balıkesir Province on the Aegean Sea coast. 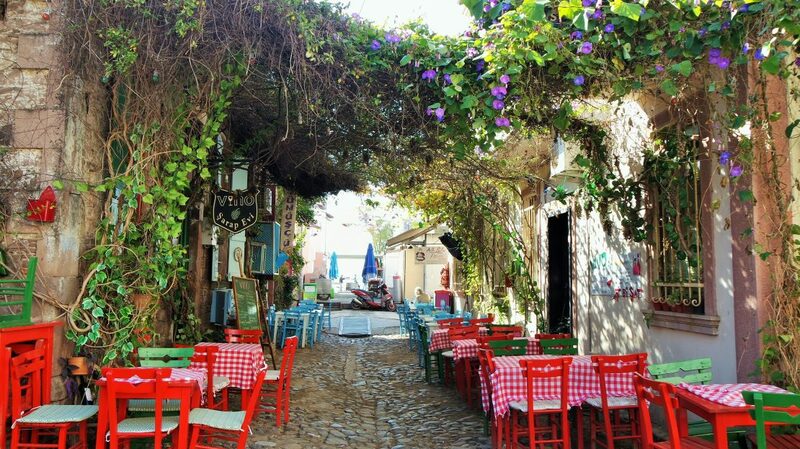 It is situated on a narrow coastal plain surrounded by low hills to the east which are covered with pine and olive trees. 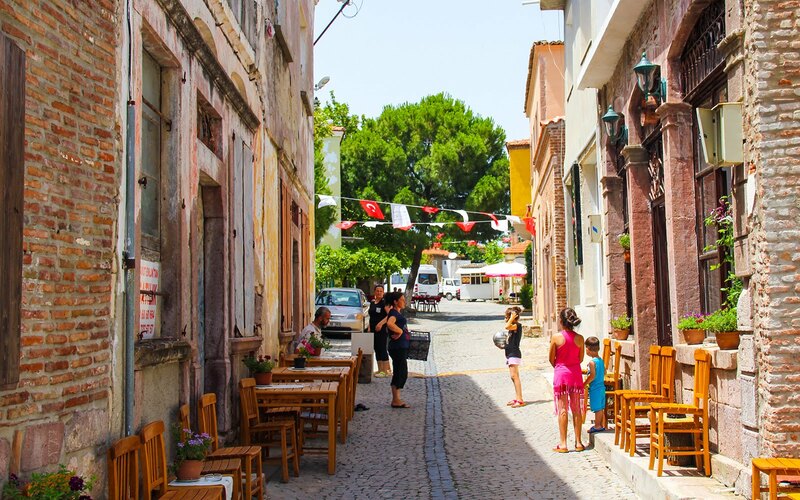 Ayvalık is also surrounded by the archipelago of the Ayvalık Islands (the largest of which is Cunda Island) on the sea and by a narrow peninsula in the south named the Hakkıbey Peninsula. 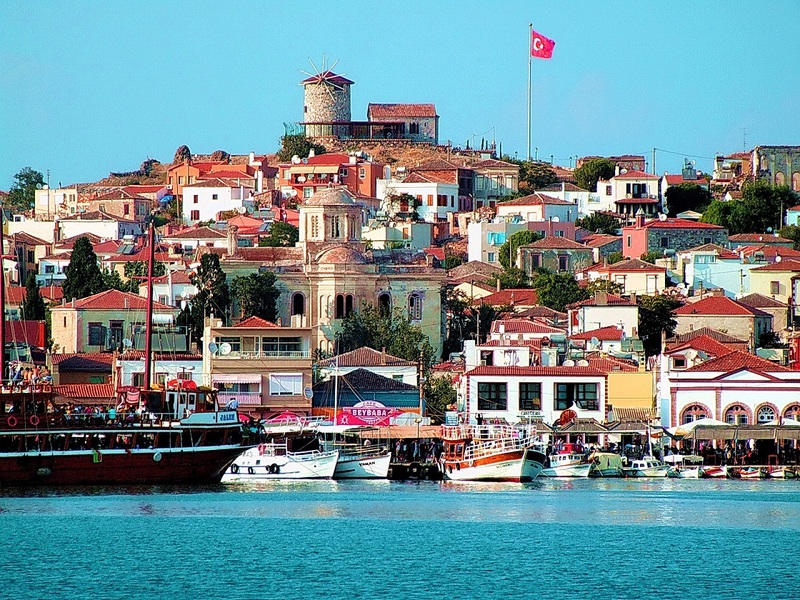 Ayvalık is the southernmost district of Balıkesir. 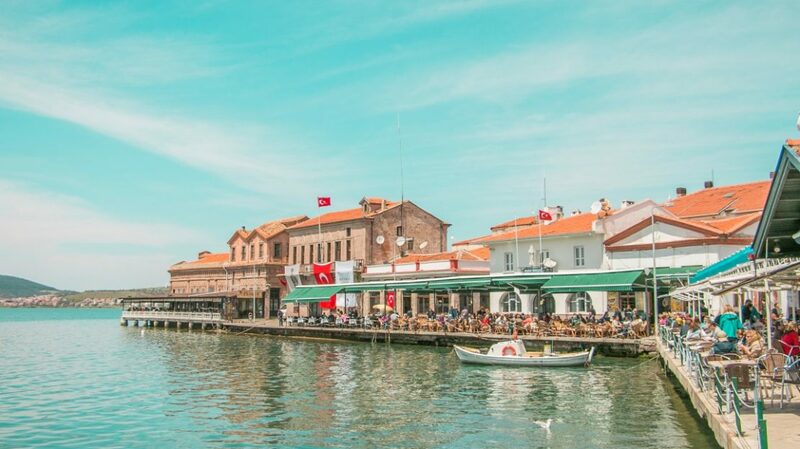 Gömeç, Burhaniye and Edremit are other districts of the Balıkesir Province which are situated on the Aegean shores and they are lined up respectively to the north. 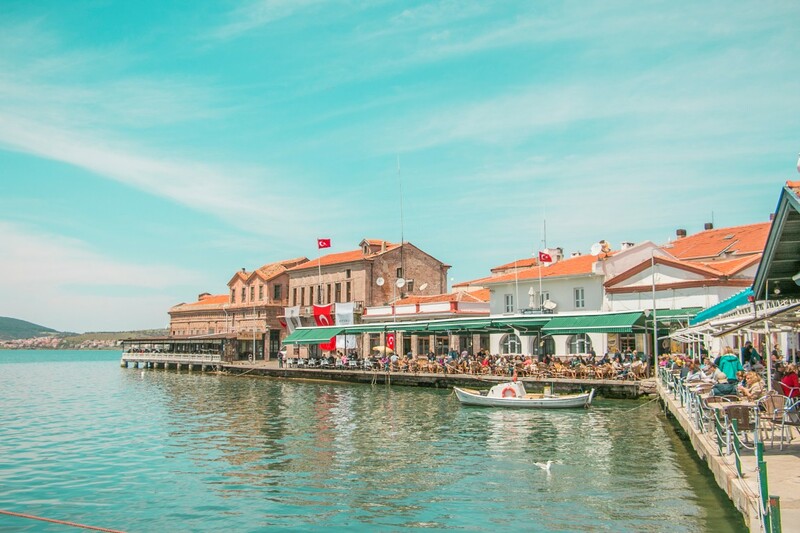 The region is under the influence of a typical Mediterranean climate with mild and rainy winters and hot, dry summers.